1. Will we support WPA2 (WLAN security) on the MC909X? Yes. The MC909X will support WPA2 (WLAN security) in the Q1’06 timeframe. 2. Will we support CCX (WLAN security) on the MC909X? Yes. However, the timeframe for support of CCX (WLAN security) is still to be determined. 3. Will we support Windows Mobile 2003 and CE 4.2 on the MC909X? No. Symbol typically does not release new products with older versions of the operating system. Hence the MC909X will not support the older version of Windows Mobile 2003 and CE 4.2. This technology refresh supports CE 5.0 / Windows Mobile 5.0 on the ‘-G’ form-factor and Windows Mobile 5.0 on the ‘-G’, ‘-K’, and ‘-S’ form-factors. 4. Will existing MC906X accessories work with the MC909X? Yes. Accessories and Batteries for the MC906X will work with the MC909X. 5. Can I upgrade the hardware of an MC906X to an MC909X (CPU, radios, memory, etc.)? No. There is no hardware-based upgrade from an MC906X to an MC909X. 6. Are the MC906X and MC909X keypads interchangeable? No. This is due to the difference in rubber bumpers (smaller and harder on the MC909X) and the change from a Piezo in the keypad to the superior performing back-housing speaker. 7. Will we support or comply with RoHS on the MC909X? Yes. However, the MC909X will not be RoHS compliant at initial release. We will phase in RoHS compliant variants in Q2’06, except for MC9097 which will not be made RoHS compliant. 8. Will we support or comply with RoHS on the MC906X? No. There is no plan to make the MC906X RoHS compliant. 9. Will we support Windows Mobile 5.0 and CE 5.0 on the current MC906X? Yes. As part of the technology refresh, Window Mobile 5.0 and CE 5.0 support on the current MC906X will be available in the Q1’06 timeframe – downloadable for a fee. No new configurations with WM5.0 or CE5.0 for the current MC906X will be released. 10. Will the MC9097 support Sprint/Nextel features such as Grouptalk and GPS ? MC9097 will support all standard features such as Grouptalk and GPS through the Sprint/Nextel network. 11. Given evolution of two standards – GSM/GPRS and CDMA, what will happened to iDEN? iDEN is planned to be operational through at least 2010 and Nextel’s popular walkie-talkie services continuing to deliver. 12. In what countries will there be support for iDEN ? iDEN is primarily supported by Sprint/Nextel in the US. There are networks in Canada that adhere to the iDEN standard. 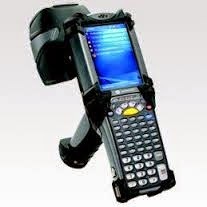 However the MC9097 with iDEN support will be available on the Sprint/Nextel network in the US only. 13. Will there be CDMA support in MC909X? CDMA-EVDO support is not committed yet, however it is planned for the MC909X in the later half of 2006. 14. Will there be a powered Forklift cradle for the MC909X? No. There is no plan to provide a powered Forklift cradle for the MC909X. 15. Are we going to release Voice-directed configurations in MC9090? There is no need for separate voice-directed configurations on the MC909X as it is ready for voice-based applications such as VoIP and Voice-Directed Picking. 16. What is the plan for the pick-list feature ? The pick-list feature will be supported in the MC909X configurations with Imager on the Windows Mobile 5.0 out of the box. For MC909X CE 5.0, it will be available as a upgrade at a later date. For the current MC906X, the feature will be available on Windows Mobile 5.0 and CE 5.0 upgrade via software download in Q1’06. It is also being planned for availability on the MC906X\WM2003 by early November. 17. Will applications written for the current MC906X work on the MC909X? In most cases, yes, but it depends on how the application is written. The MC906X runs CE 4.2 / Windows Mobile 2003 (WM’03), while the MC909X runs CE 5.0 / Windows Mobile 5.0 (WM 5.0). Some changes may be required to enable the application to run on CE 5.0 / WM 5.0. However the changes are not expected to be extensive. Symbol plans to have partners that can work with end users to migrate their applications from WM'03 on the MC906X to WM 5.0 on the MC909X. 18. What is the plan for EOS on the MC906X configurations? The EOS plan for the current MC906X is still to be determined. MC906X configurations will be orderable through 2006.